Since entering service with the U.S. Army in 1978, Sikorsky’s UH-60 Black Hawk has earned an esteemed reputation among military operators around the globe. Its versatility, durability and performance make it highly adaptable to a wide variety of missions. Sikorsky’s S-70 is the commercial variant of the UH-60 Black Hawk. 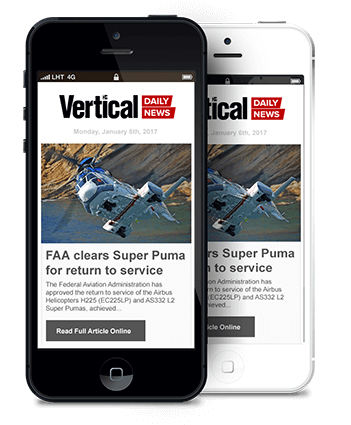 While it has always been available to domestic operators, its cost and restricted category has limited its commercial acceptance. But the S-70 has proved popular in the export market with foreign governments for military and public safety missions and VIP transportation. 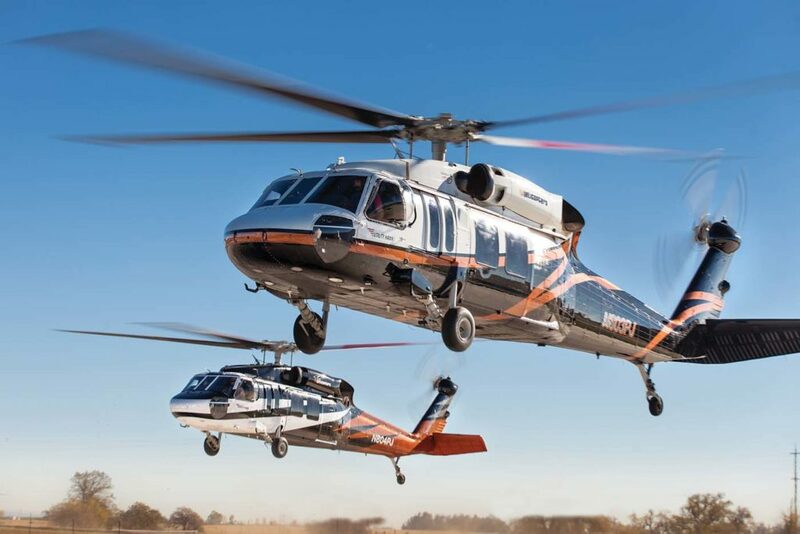 In spite of its costs and operational limitations, the Black Hawk has many alluring qualities for commercial operators. It possesses everything they want from an aircraft: speed, lift, safety, requires limited maintenance, and is a reliable, proven multi-mission workhorse. 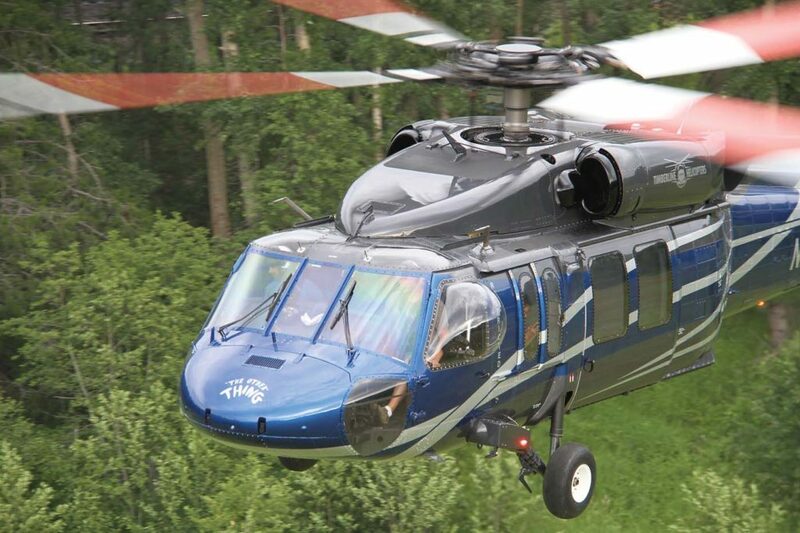 In the mid-1990s, Brainerd Helicopters (now Firehawk Helicopters) purchased a low-time S-70 that had been in storage overseas, becoming the first domestic commercial operator of a Black Hawk. After a comprehensive overhaul, the aircraft entered service in 1996 on a firefighting contract in the Western U.S. The company acquired a second S-70 in 2001 from Sikorsky, a “trade-in” from a foreign government. In 2014, as the Black Hawk passed 35 years of military service, the U.S. Army began a program to divest a large number of “obsolete and non-excess” utility Black Hawks. The Black Hawk Exchange and Sales Team (BEST) program administered the sale (or exchange with Sikorsky) of 600 to 800 legacy Black Hawks — mostly A and L models — making them available to foreign and domestic government agencies, as well as commercial operators. The Army planned to use the revenue and/or exchange credit to offset costs for replacement aircraft. In the early days of the BEST program, operators could pick up a Black Hawk in flyable condition for $500,000 or less. It would generally require a further investment of a million dollars (if not more) to get that aircraft ready to go to work. To date, the BEST program has sold over 300 A and L model Black Hawks. As a result, the number of operators in the U.S. has grown significantly. By last count, there are more than 40 Black Hawks being operated by 28 operators in the U.S. Most of them are commercial operators, along with a handful of federal law enforcement agencies and fire agencies in California. 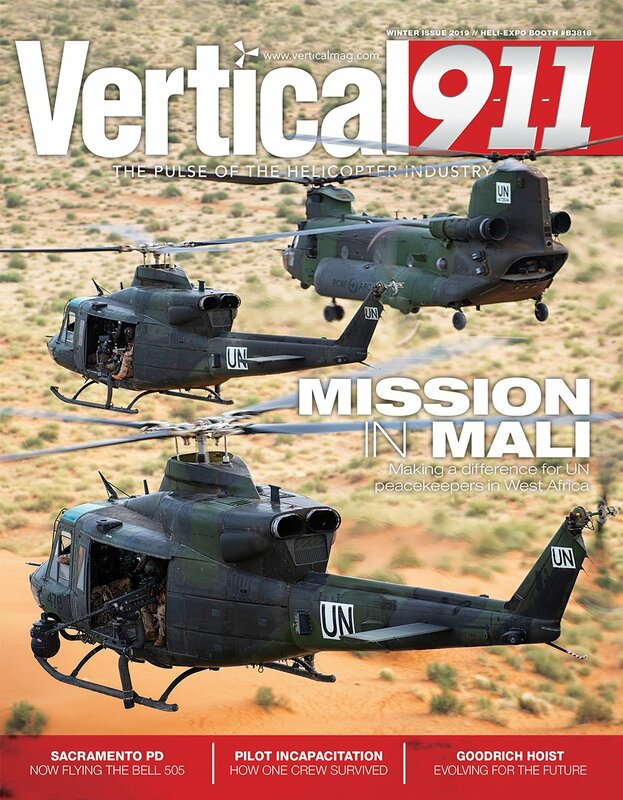 While the Black Hawk has more than proven its multi-mission capabilities for the military in battle, as far as the Federal Aviation Administration (FAA) is concerned, it’s a restricted category aircraft in the commercial world. As a result, its mission scope is somewhat narrow. Regardless of the limitations as a restricted category aircraft, interest in the commercial Black Hawk is soaring. As a result, operators, engineering firms and parts manufacturers are developing products and systems to enhance the aircraft. Presently, there are at least seven companies working to develop and certify firefighting tank systems. While many of these companies have been forthcoming about their plans, others are understandably reluctant to discuss the state of their own projects. 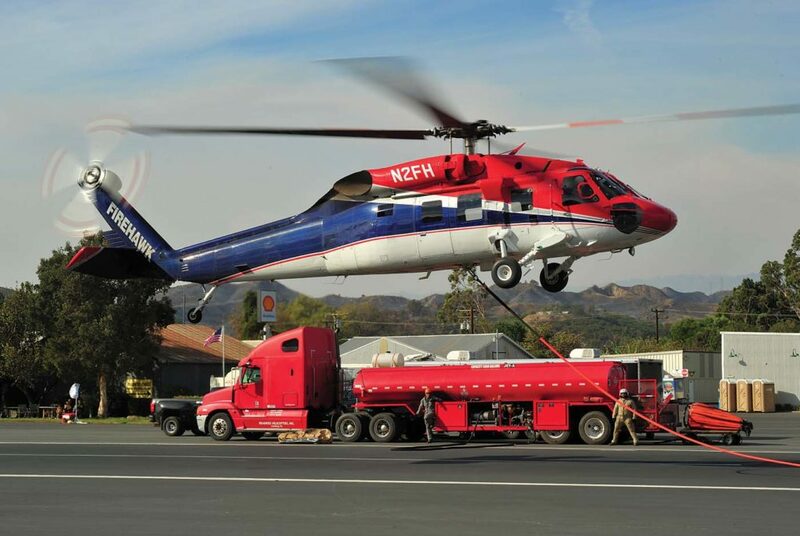 Firehawk Helicopters is in the final stages of developing a 925-US gallon (3,500-liter) internal tank, and hopes to have received a supplemental type certificate (STC) for it by the second quarter of 2019. The company is developing a number of other Black Hawk STCs, including a bubble window for external load operations certified to a maximum speed of 175 knots. 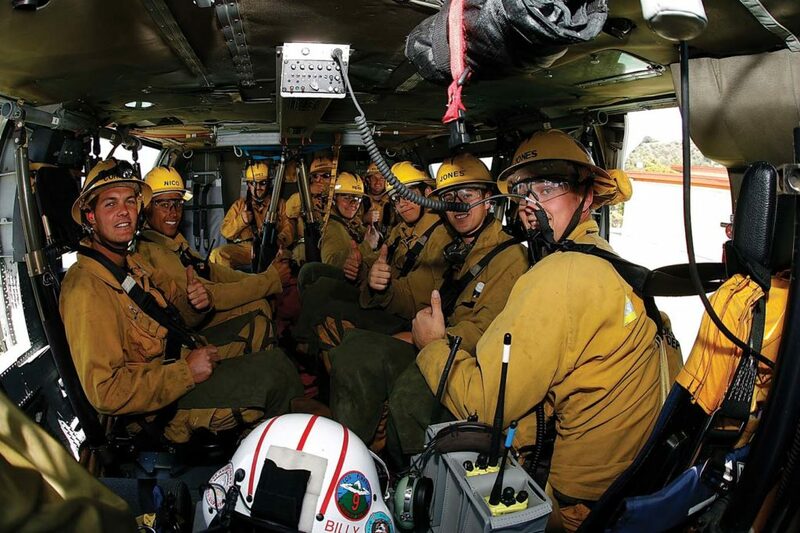 The Firehawk’s sizeable cabin allows L.A. County to transport a 13-man crew. The organization can transition the aircraft from an EMS to a crew haul role in under four minutes. In addition to two models of external belly tanks for the Black Hawk, Simplex Aerospace is working on two internal tanks — an 850-US gallon (3,220-liter) and a 1,000-US gallon (3,785-liter) model. Both have composite construction and can utilize a traditional suspended hover pump or a retractable hover pump. Each model installs into the rear cabin in 15 minutes using a rail system. The 850-US gallon model utilizes the existing hook-well in the aircraft’s belly to deliver its load in five to six seconds. The 1,000-US gallon model requires modification to the aircraft’s belly, with two additional holes enabling the tank to empty in two to three seconds. 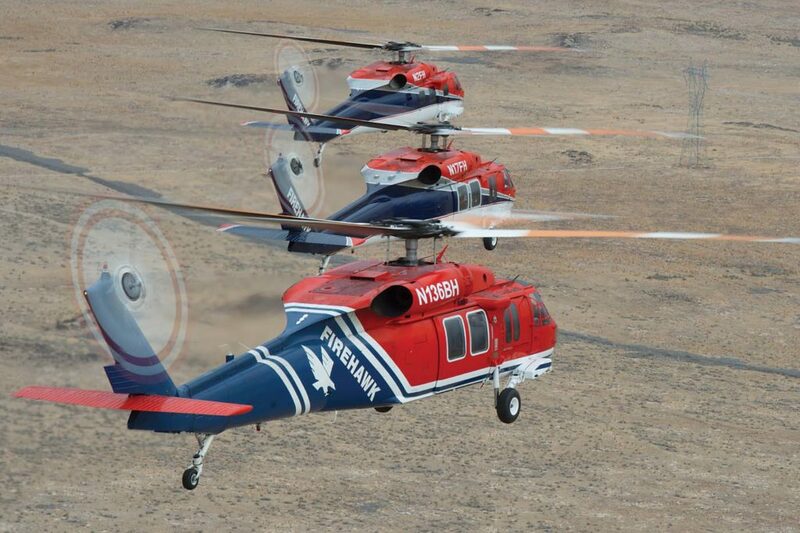 United Rotorcraft and Kawak Aviation Technologies have teamed up in their pursuit of the next generation firefighting tank system. 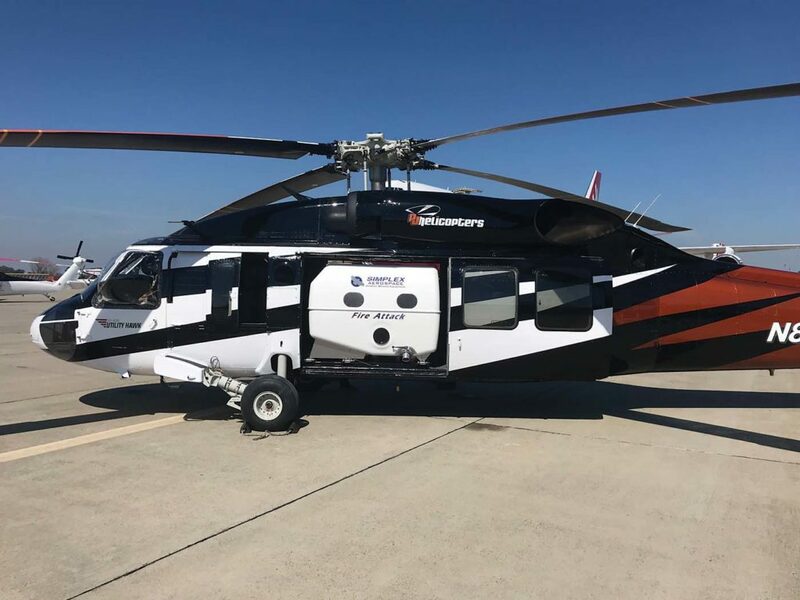 United Rotorcraft is currently performing its Firehawk conversion on 10 Black Hawks destined for four California fire agencies: Cal Fire, Ventura County, Los Angeles County and San Diego City (spanning eight new S-70i and two HH-60L models). 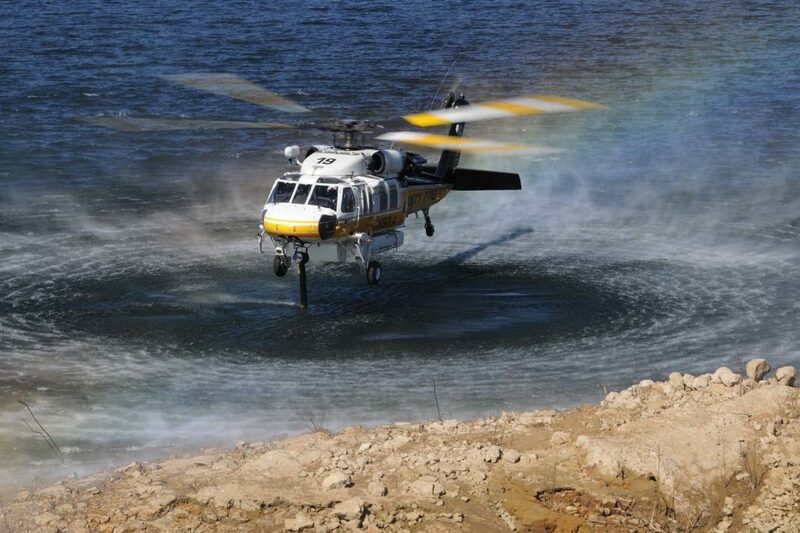 Cal Fire has committed to seven additional S-70i aircraft within the next three years. Kawak is charged with designing and manufacturing the tank. 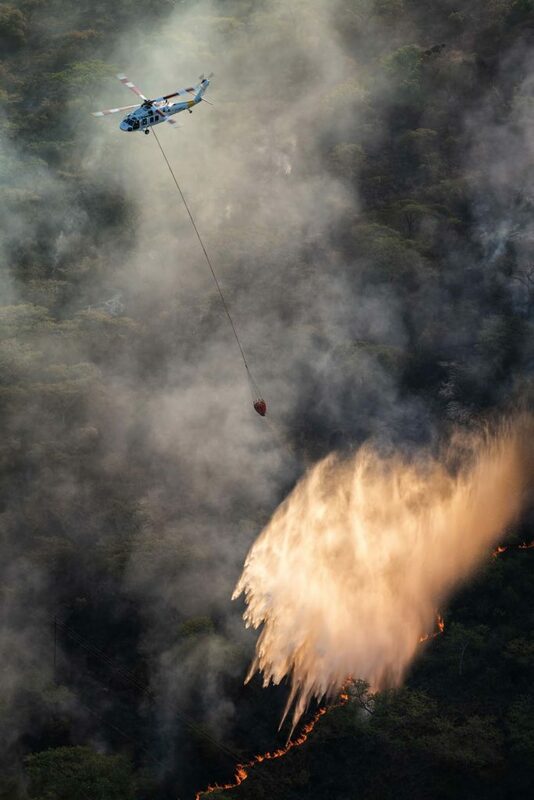 Because government operators such as firefighting agencies fly as “public use” aircraft, their mission scope is not limited to “restricted category” operations. As a result, completion houses like United Rotorcraft are developing products and interiors to meet the multi-mission public service role. It was LACoFD that first introduced the Firehawk into the parapublic arena in 2000. The agency, along with its industry partners, is proud to claim ownership for the aircraft’s firefighting systems and mission innovations. Other innovations for Black Hawks are coming in the form of advanced cockpit avionics suites. 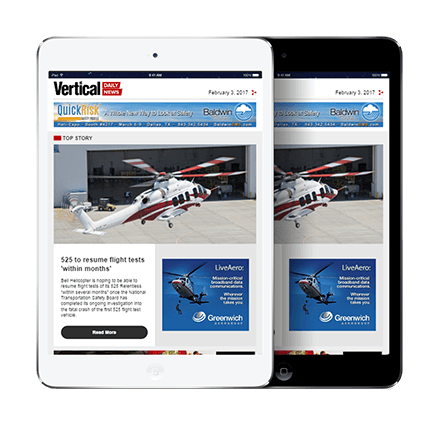 Ace Aeronautics purchased two aircraft from the BEST program to aid their development of the Ace Deck VL-60, which uses Garmin’s G5000H touchscreen flight management system and vehicle management system. The company is also developing an EO/IR sensor mount. Ace Aero’s Tracy Stapleton said the company expects the Ace Deck to receive an STC by March 2019. Rogerson Kratos is pursuing a similar advanced cockpit solution with sophisticated integration for firefighting. The company has teamed up with a tank manufacturer to develop technology for better load management and targeting. Elsewhere, Honeywell Aerospace has received an STC to install its Aspire 200 satellite communications system aboard Black Hawks. 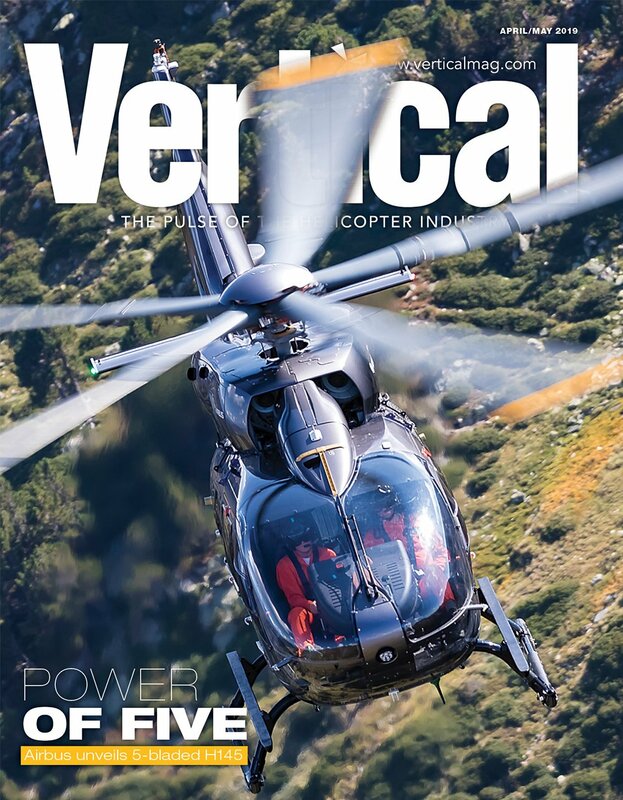 Developed specifically for helicopters, the system provides real-time data, voice and video transmissions, acting like a Wi-Fi router providing high-bandwidth connectivity with “smart” devices throughout the aircraft. Beyond firefighting systems and advanced avionics, companies are pursuing development of other mission enhancing products. Aerometals (formerly FDC/Aerofilter), is finalizing approvals for what the company describes as a “next generation” inlet barrier filter (IBF) system for the Black Hawk. It is also producing a lightweight straight exhaust that provides an estimated 400-pound weight saving over the legacy Hover Infrared Suppression System module assemblies. With external lifting such an essential mission for the commercial operator, cargo hook manufacturers On Board Systems and Mechanical Specialties LLC have both developed replacement cargo hooks for Black Hawks. Each are rated to 9,000 pounds, have load cell integration, and improved secondary release systems over the legacy hooks they replace. The Black Hawk may always be a niche player in commercial operations. But going forward, many believe it will find a home in other markets such as mining, military training, and perhaps even commercial search-and-rescue (SAR). “You’re never going to have it as a standard category [aircraft],” said Brainerd. “But I think what you’re going to see is special purpose certifications. That’s essentially what PJ Helicopters is doing with the Bureau of Land Management, (BLM). The BLM had to do a public aircraft declaration so PJ can carry firefighters. So they’ve wedged that aircraft now into a special purpose contract and a special purpose certification and they’re doing something with the aircraft that has never been done before.